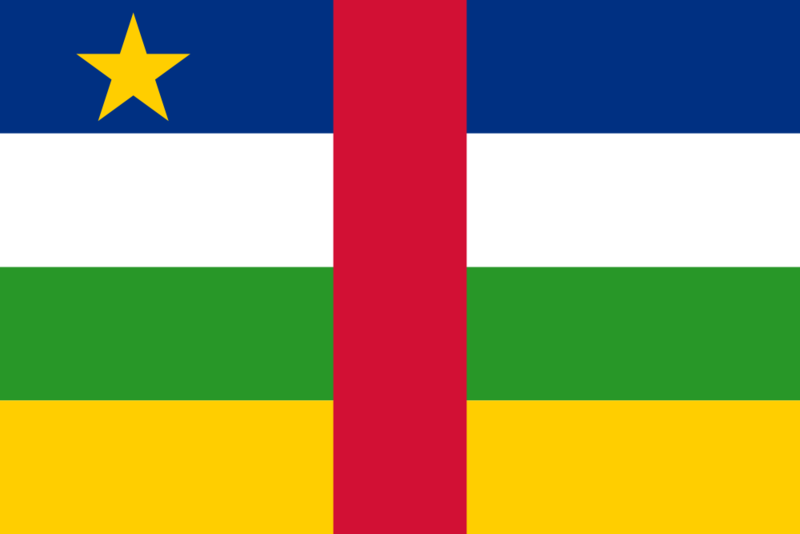 The music of the Central African Republic is little-known. There are some excellent recordings of traditional music on the Ocora label (Empire Centrafricain: Musique Gbáyá/Chants à Penser [558 524, 1977] is a standout), but its "modern" artists are often overlooked in favor of those of the CAR's neighbors, Cameroun and the two Congos. Some may have wondered if there is a serious music "scene" in the CAR at all, but as recounted in a fascinating post in Matt Lavoie's African Music Treasures blog, indeed there has been since 1954, when Prosper Mayélé founded Tropical Jazz, which became the house band at Bangui's Le Rex club. As is the tendency in African music, Tropical Jazz spawned splits and sub-splits, giving rise to Orchestre Centraficain, Vibro Jazz and Tropical Fiesta. A group called Zokela, founded in 1981, in 1999 split into four different Zokela permutations. For samples of music from several of the groups I've mentioned, I would refer you to Matt's well-researched article. 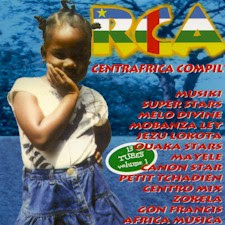 It has not been my practice to post more recent, commercially-available recordings on Likembe, but as it apparently has long been out of print, I am making available here RCA: Centrafrica Compil (Déclic 50 608, 1997), which is a pretty good overview of the Central African music scene, at least as it existed in the late '90s. I regret that I can't give you any information about the musicians. As you might expect, the sound owes a lot to Congo music, but there are plenty of uniquely Central African touches (take note especially of Francis Gon's "Caresse de Î Les"). Enjoy! Download RCA: Centrafrica Compil as a zipped file here. I suspect that some of the tracks on this CD were mislabeled. If someone has information about the correct track-listing, let me know and I'll make a correction.